Habitat’s Neighborhood Revitalization program partners with homeowners who are struggling to maintain a safe place to live. It includes exterior painting, weatherization, and minor repairs. We have completed over 170 Neighborhood Revitalization and A Brush With Kindness projects since 2010. It is common for home maintenance to be deferred, when basic expenses exceed income month after month. Years of this can cause a downward spiral of home deterioration and unsafe living conditions. Have you had to choose between paying for food, medication, taxes and basic utilities? The home must be owner-occupied and located in Minnehaha, Lincoln or Turner Counties. The homeowner must qualify as low-income. See the application below for income guidelines. The scope of work must match our program resources. Homeowners are expected to be cooperative partners with Habitat staff and volunteers. Homeowners will reimburse Habitat Sioux Falls for the supplies used to complete the project. 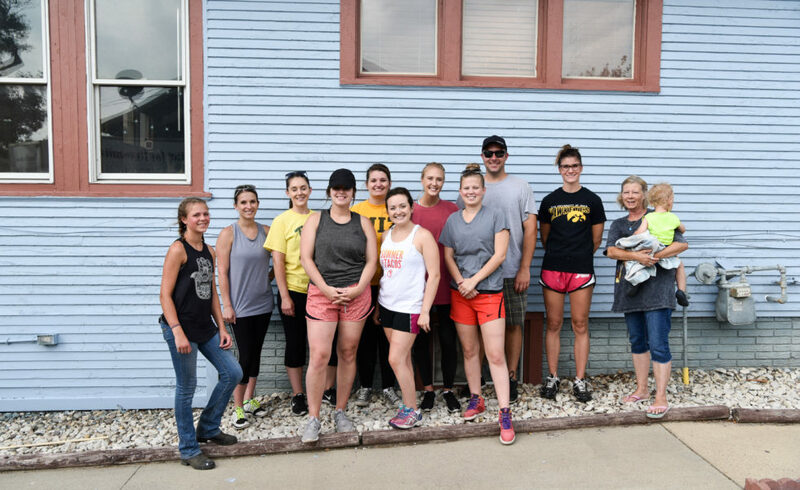 Once a homeowner’s eligibility is determined and their application is accepted, Habitat Sioux Falls provides volunteer groups to assist homeowners in completing minor repairs, painting and yard work. Download and complete the NR Application.